On Wednesday, January 30th, Two Birds One Stone reopened as Roadhouse 29 offering up a barbeque experience with a casual feel. With delicious comfort food, economical pricing and a no tipping policy, it definitely has the Napa Valley talking. Rumors had been going around that Two Birds/One Stone was changing their concept dramatically into Roadhouse 29, a casual, fun barbeque smokehouse where people could enjoy comfort food with their families in a lively environment. To me, this seemed like a complete 180 from the detail-oriented culinary experience that Two Birds/One Stone offered up with a price tag. Roadhouse 29 is located next to Freemark Abbey North of Saint Helena on Highway 29. Maybe it was the location or the Asian inspired menu TBOS had created but it never really took off. It always seemed very quiet, which was a stark difference when I walked into Roadhouse 29 for the first time. We got to Roadhouse 29 on opening day around 5 pm, and it was already busy. Although the interior hadn’t changed, the vibe was already different. 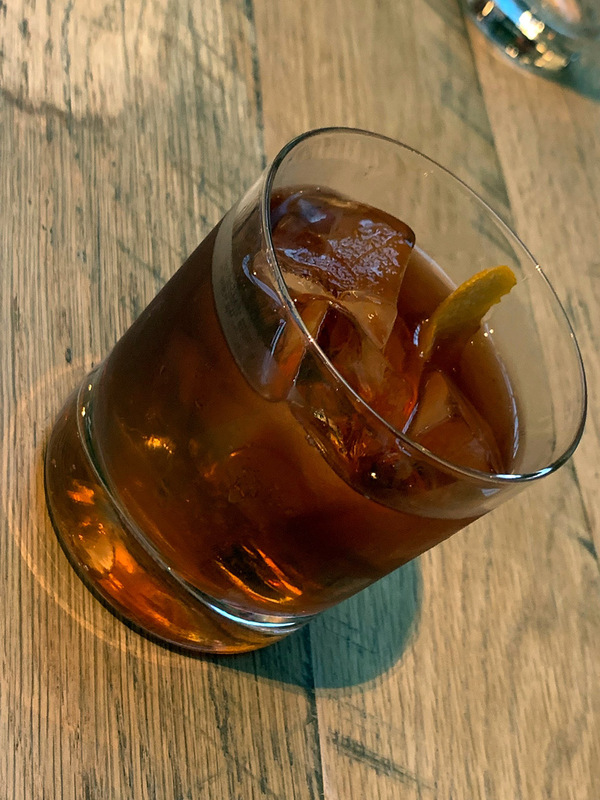 With the old style, country-inspired music, it had that laid back rustic vibe that is reminiscent of Farmstead, a trendy eatery in Saint Helena. 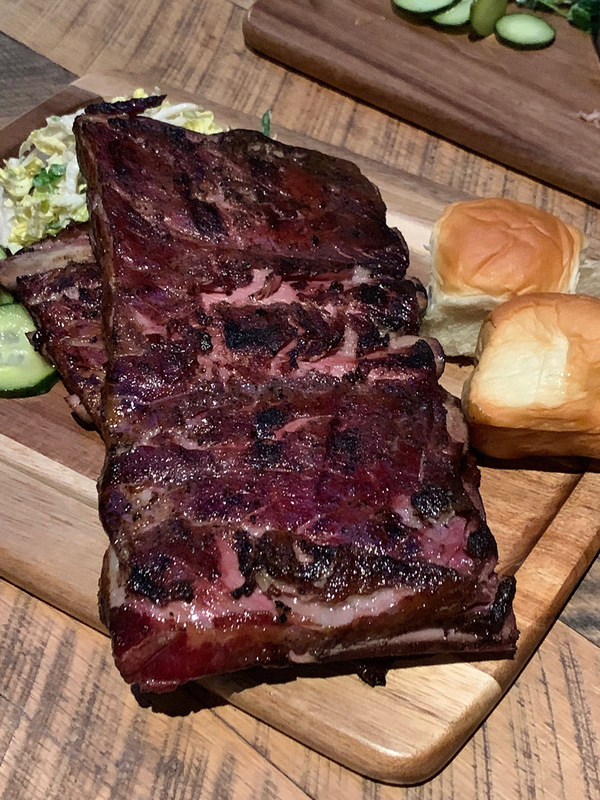 Roadhouse 29 is primarily a smokehouse featuring items like Akaushi Beef Brisket, St. Louis Pork Ribs, Andouille sausage, and Hot Smoked Salmon. They also offer several salads, steaks, and a “Roadhouse 29 Bacon Ranch Cheeseburger.” The meats featured at the smokehouse come from Journeyman Meat Co. in Sonoma, and most of the vegetables are locally grown. Almost all of the wines come from local vintners, including an extensive bottle list. There is also complimentary corkage if you want to bring a bottle. They kept a lot of the same by the glass wines that TBOS had, local wines, mostly on tap, and offered 5oz and 25oz pours (bottle). They also featured several craft beers and four house cocktails, such as a Margarita, Manhattan, Negroni and a Hot and Sour Gimlet for 12$. One thing they did keep on the menu from Two Birds days was is the “48 Hour Kim Chee Brined Fried Chicken” with Korean Buffalo Sauce, which was my favorite item on the menu, ultra crispy on the outside, juicy on the inside. They also kept the Kale Salad with Black Garlic Dressing and the “42 Hour” Waygu Short Rib. The pricing at the new restaurant seemed reasonable with salads ranging from 10-12.50, the burger priced at 14$ and the Andouille sausage at 9$. The smoked meats, like the brisket and pulled pork, were served by the pound or 1/2 pound. There also were quite a few families dining on opening night which is no surprise since they offer a 6$ kids menu with kids under five eating for free, which I think will be popular with the locals. We ordered a beverage and some deviled eggs to start. The server offered us some recommendations, primary the smoked meats. 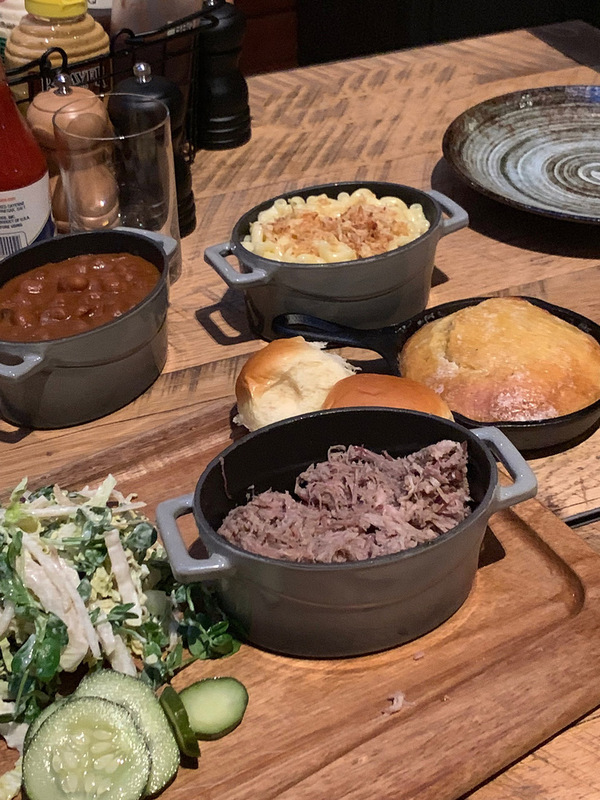 We decided to dine family style, so we could try out many dishes complemented by the restaurant’s extensive sides menu, featuring items like Aged Gruyere Mac N’ Cheese, Napa Valley Heirloom Baked Beans, and Katie’s Warm Buttered Cornbread. Our appetizer came out very quickly. 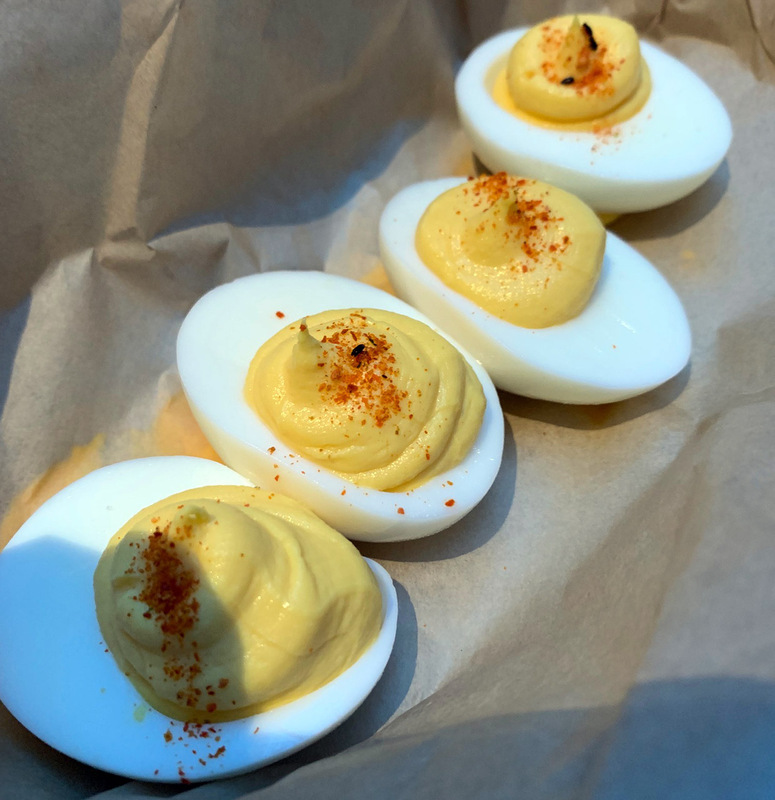 The deviled eggs were a traditional style; four halves served in a casual brown paper basket sprinkled with paprika. It was a decent portion for 6$, not overly elevated but very satisfying. For our family-style entrees, we ordered a whole rack of St. Louis Pork Ribs, the 1/2 pound Beef Brisket, and 1/2 pound Pulled Pork. For our sides, we chose Spicy Chips with Pimento Cheese/Horseradish Dip, Mac N’ Cheese, Baked Beans and Cornbread. The smoked meats also come with signature coleslaw, cucumbers, and complimentary Hawaiian Rolls. 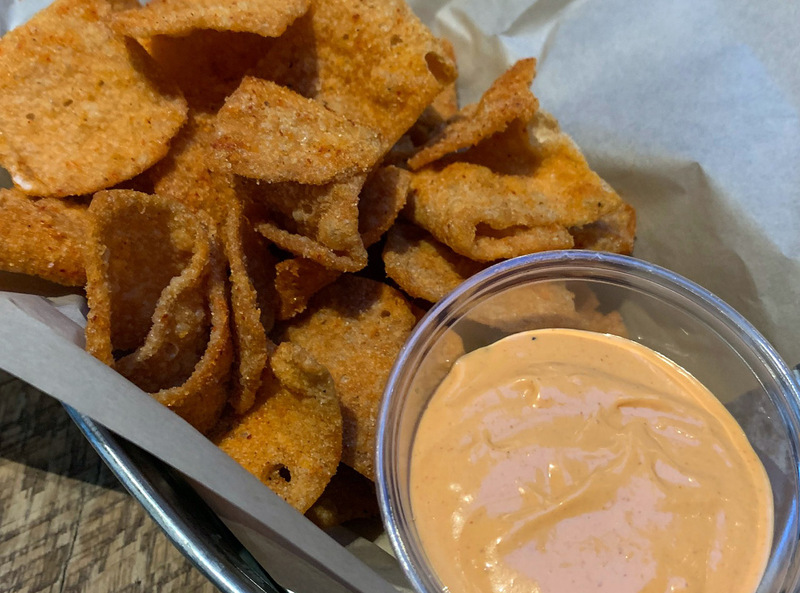 First out were the oddly curious Spicy Wonton Chips with a side of Pimento Cheese/Horseradish Dip. These thick homemade chips had a spicy sweetness to it, still in keeping with the old Asian flair. Immediately, our entrees and sides came to the table. They were served in cast iron, on a wood cutting board tray, keeping with the casual, rustic theme. The smoke on the ribs was terrific, and they weren’t ultra fatty like some ribs. They had a beautiful red color from hours of smoking, incorporating California oak and repurposed Freemark Abbey Cabernet barrel staves. The bbq sauce is fantastic. They also offer a Korean bbq sauce which has more soy and teriyaki flavors. Both the brisket and the pulled pork again was heavy on the smoke, ultra tender and with the complimentary rolls, you can create some mini sliders, adding some slaw and cucumber. Amazing cook on the St. Louis Pork Ribs, smoked for hours over oak and barrel staves. What can I say about the sides… delicious! The Aged Gouda and Cheddar Mac N’ Cheese was rich and creamy and topped with crispy shallots. The baked beans were sweet, tangy and tasty and went well with the ribs. The cornbread was served in a mini cast iron skillet, keeping it warm and moist. Roadhouse 29 serves up great comfort food for the Valley, a stark contrast to the former TBOS, which had that culinary wow factor. I really enjoyed my casual barbecue meal and was definitely filling, and we still had leftovers to take home. I was surprised to see the turnout; overall the service had a few bugs such as some back-up at the bar and food going to the wrong tables but nothing that was unexpected. I think for the number of people that showed up, the food was expedited quickly, and the friendly staff was really accommodating, offering up food and drink recommendations to all the new customers. Roadhouse 29’s business model is one of the things that has people talking. It is a non-tipping restaurant, meaning employees are paid “a true living wage.” This model is intended to keep patrons costs low but also keep employees by offering more benefits and incentives. Many people in the hospitality industry are on the fence about this model, so it will be interesting to see if it works out and will be adopted by other Napa Valley restaurants. A few things to look forward to, starting in March, Roadhouse 29 will be offering online ordering options for take-out. I think that will appeal to the local crowd who want some options for pick-up, parties, or dinner with the family. Live music will also be offered every Friday starting in March. I would recommend Roadhouse 29 for your comfort food needs. It’s a must for those cold, rainy days when you just want some good old barbeque in the Napa Valley! Excellent post! Hope they had Tannat on the wine list. The food is perfect for that big red. Definitely on my list for my next trip to Napa.